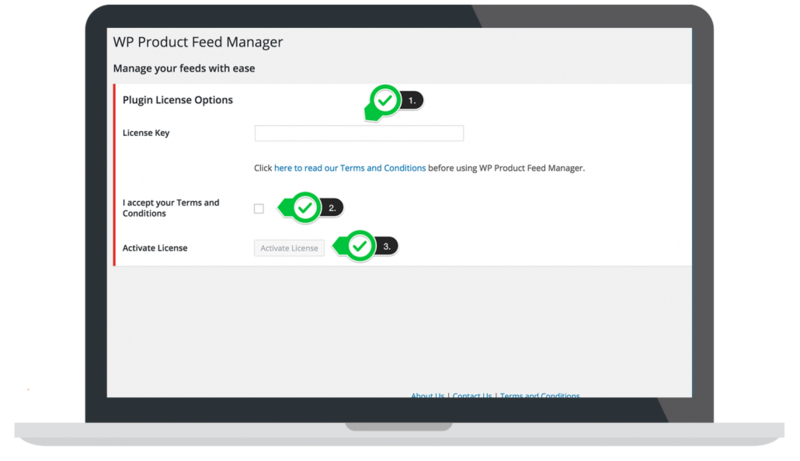 It may look complex but we get you started with wp product feed manager in just a few steps. 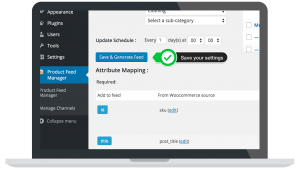 Download the plugin and install the plugin like you would normally install plugins. 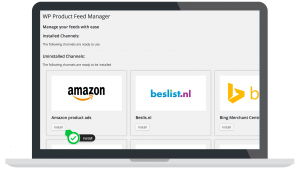 After installing and activating the plugin go to the “product feed manager” menu item. You will be asked to fill in your license key and accept the terms and conditions. Click the activate license button and your ready to go. Go to the manage channel section of the plugin and click the install button underneath the channel you want to create a feed for. 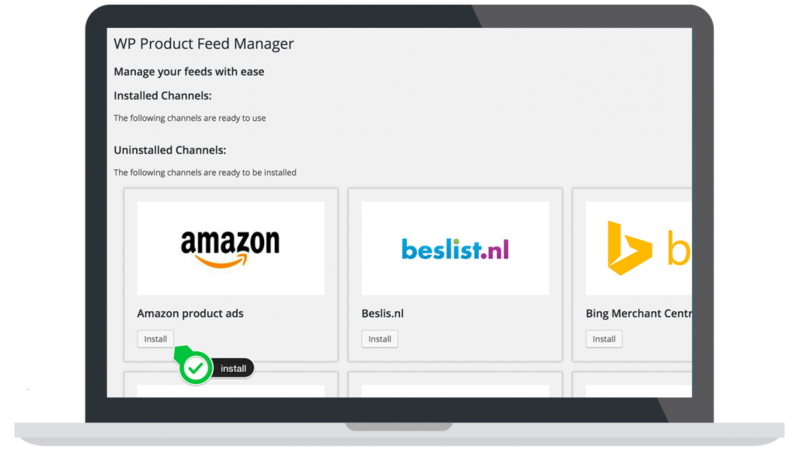 You can install in one run all the channels you want to use. 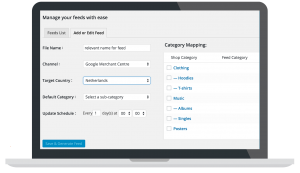 Go to the feed manager and click the “Add new feed” button. Give the feed a relevant name and select the channel you want in the dropdown. Each channel has its own categorization. First you select the default category. 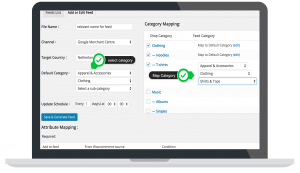 After that you map the categories to the right product category of your website by selecting the checkbox next to the product category. Now you can map a different channel category. 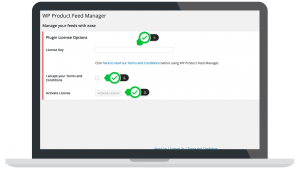 When you do not select the checkbox the category will not be included in the product feed. Actually that is all what it takes. 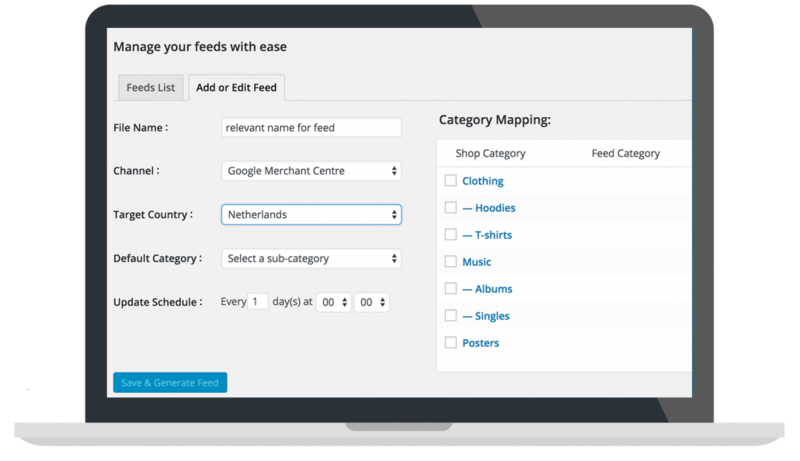 Your feed has been setup with the basic settings and you can click the button “Save & generate feed” and you are ready to use the product feed.